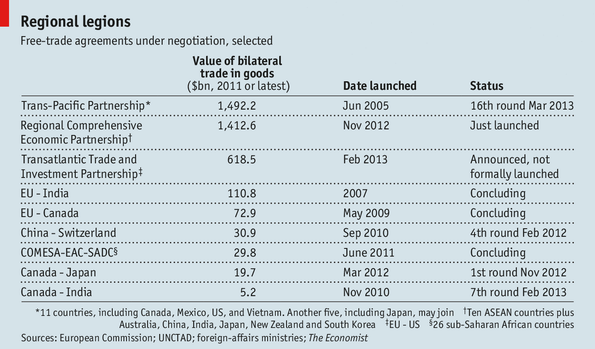 After years of negotiations, this week saw the conclusion of the Trans-Pacific Partnership agreement (“TPP”). 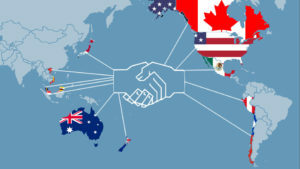 The TPP unites eleven pacific-rim nations and the United States–a collection of 40% of global gross domestic product and one-third of world trade–making it the largest regional trade agreement in history. Although the terms of the agreement have not been released yet, it has been a divisive topic throughout negotiations. The Obama administration and TPP’s proponents point toward the elimination of more than 18,000 tariffs in place on American exports by the other participating countries as one of the key benefits of the deal. One of the sticking points for opponents to the deal is the inclusion of an investor-state dispute settlement (ISDS) mechanism. Critics of this ISDS provision claim it undermines state sovereignty by creating a supra-national tribunal where global corporation’s may sue member-states and receive taxpayer compensation. On the surface, the critics concern is a real one–state sovereignty will be undermined–but states cede sovereignty each time they enter into an international agreement. 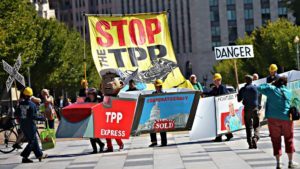 The real issue at play is whether the obligations the TPP allows global corporations to enforce against the United States are so egregious as to make the cession of the United State’s sovereignty unacceptable. An accurate answer to this issue cannot be had until the final terms to the TPP are released to the public. Although WikiLeaks published an alleged text of the Investment Chapter of the TPP in March of this year, which is said to create the ISDS. 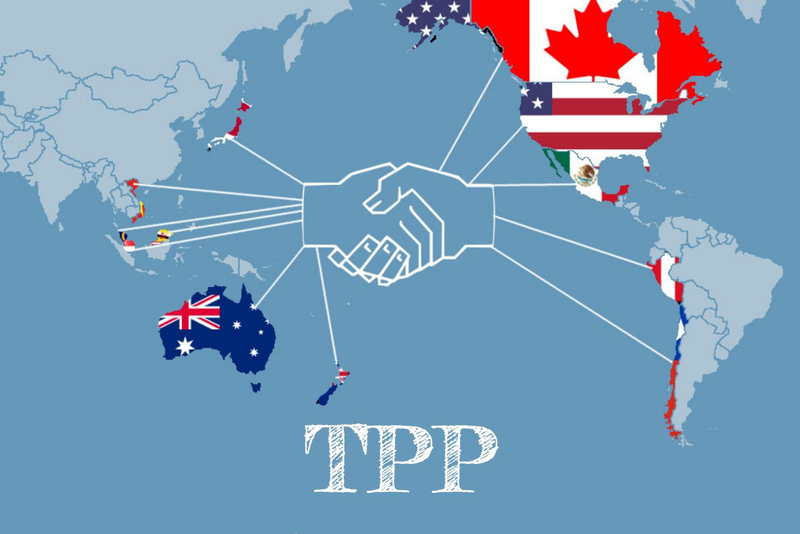 This post will wait to evaluate the obligations of the TPP until it is released. However, two of the rumored grounds for suit, “expected future profits” and indirect expropriation, are provisions found in many of the 3,000-plus trade agreements in place around the world. A look at corporations’ use of these provisions in other trade agreements provides positive arguments for both sides of the TPP ISDS debate. Under NAFTA, Methanex, a Canadian corporation sued California for loss of $970 million in expected future profits after California banned the chemical MTBE from gasoline sold in the state. The NAFTA ISDS tribunal dismissed the claims against California. TPP supporters say the ruling prove that domestic regulations for the public good will win out under any ISDS regime. Opponents, on the other hand say that those companies from larger countries that are set to gain access to similar rights against the United States will not lose such cases. The ongoing dispute between the United States tobacco company Phillip Morris and Australia for mandating plain packaging of tobacco products on public health grounds is cited as an example of a suit TPP will allow against the United States to the potential detriment of taxpayers. Opponents also fear “indirect expropriation” will be interpreted broadly by a TPP ISDS tribunal to oppose regulations that may diminish a foreign corporation’s investment expectations in the United States. An example of a corporation successfully suing a state for indirect expropriation is the 2012 Occidental Petroleum’s award of $2.3 billion from Ecuador for its expropriation of oil drilling. The Office of the United States Trade Representative has dedicated an entire website to dispelling critic concerns over a TPP ISDS tribunal issuing similar judgments against the United States. It cites investor burden of proof and a state’s ability to seek expedited review of frivolous claims brought against it as key mitigating factors. In the near future the final terms of the TPP will be released to the public. The agreement has the potential to change the United States’ strategic position in Asia and increase its exports in certain struggling industries. It also has the potential of opening the vault to the United States’ taxpayer money. I believe that in order for the TPP to pass congressional approval, ISDS provision must contain the mitigation mechanisms necessary to prevent foreign corporations from impeding the United State’s sovereign right to regulate trade within its borders. Whatever the outcome, the TPP ISDS tribunal will likely influence a similar ISDS provision in the Transatlantic Trade and Investment Partnership currently being negotiated between the United States and the European Union.